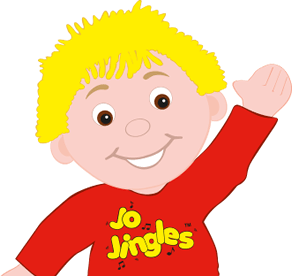 Welcome to my Jo Jingles classes in Killingworth, Benton, Morpeth, Cramlington, Seaton Delaval & Bedlington. Hi, I’m Lindsay and I live in Northumberland with my husband and daughter, Hannah, who is 5 years old. Having been a Jo Jingles Class Teacher for 1 year, I then had the opportunity in July 2015 to run the franchise for Newcastle-upon-Tyne and SE Northumberland. Along with my Class Teacher, Dawn Sykes, a Jingling Mum, we run classes in Morpeth, Killingworth, Bedlington, Seaton Delaval and Cramlington. I have attended Jo Jingles classes with my daughter since the age of 4 months old, and I have seen first-hand the benefits to children. I have been continuously amazed by all she has learnt and gained from the classes. I have seen her confidence grow in this time; she has made good friends and learnt actions and words to songs off by heart. I have also made some great friendships with other Jingling Mum's. Having previously worked in sales support and purchasing I am thrilled to be running my own Jo Jingles business! Hi! I’m Dawn and I live in North Tyneside with my husband, daughter Rosie and little boy Jamie. I have been a Jingling Mum for over five years since my daughter was only a few months old. 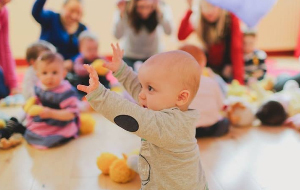 Jo Jingles quickly became our favourite weekly activity and it was lovely to see Rosie grow in confidence and dance along with her little friends. We absolutely love coming to Jo Jingles every week, myself just as much as my daughter Ivy. We started when she was only 12 weeks old to introduce her to music and movement from a early age. We have learned many songs which we also sing at home. Ivy loves the 'peek a boo' song and has starting doing this herself. I love dancing around with Ivy during the classes, she loves being thrown in the air, giggling away. Ivy loves exploring the musical instruments, shaking and tapping... them off her knees. The instruments are a brilliant size for the babies which has helped Ivy's fine motor skills in being able to pick up and grip the handles with ease. Ivy is very inquisitive and enjoys watching all the babies, she is beginning to interact with them, making some lovely early friendships. I have loved to see Ivy progress through these sessions in these short 3 months and can't wait to carry on until she starts school. Lindsey is fab! She is very caring and welcoming, from the first day I have always felt very relaxed in the classes. She is excellent with the babies, always encouraging everyone to join in and enjoy themselves. I would highly recommend Jo Jingles to all parents! My daughter Lydia and I love Jo Jingles. From the minute we started Lindsay was so helpful, friendly and welcoming. My daughter Lydia and I love Jo Jingles. From the minute we started Lindsay was so helpful, friendly and welcoming. 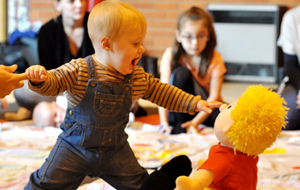 The classes are full of lovely songs, actions and movement that all babies and parent love. The equipment and resources are fab, so much so I've asked a few times where I can purchase items! Lindsay is also a great fountain of knowledge using personal experiences to offer friendly help and advice. I would fully recommend a Jo Jingles class to anyone and everyone. Jo Jingles is amazing. Sally comes to our playgroup every week and gets all 26 children interacting, smiling and giggling. Jo Jingles is amazing. Sally comes to our playgroup every week and gets all 26 children interacting, smiling and giggling. She always has a new adventure for the children to go on and each week sings songs both traditional rhymes and some new favourites. Their imagination takes them to places they've never been before through the jungle, into the woods and under the sea its always a mystery where we will end up next. Thank you so much to Jo, Sally and Lindsay for an amazing time at jo jingles I would highly recommend it to anyone with young children. Lindsay’s Jo Jingles classes are wonderful, I have attended with Joseph since he was 3 months old. He’s now almost 8 months old and LOVES the classes; they’re full of fun songs with lovely actions that you can do at home. His face lights up at ‘Wind the bobbin up’ and he loves the songs that include him being lifted in the air (if only he wasn’t so heavy!) There are different little themes each week with a whole host of different equipment and instruments – Joseph loves peekaboo with the scarves. My little boy Matteo has been going to Jo Jingles every week since January and we will continue to go until I return to work. My little boy Matteo has been going to Jo Jingles every week since January and we will continue to go until I return to work. Matteo enjoys every second of each session and it is really well planned, organised and resourced! It's great how there is a different theme each week but that we revisit familiar songs too, Matteo has definitely developed some favourites! Sally is brilliant at leading the sessions and I would highly recommend anyone to get booked up! My little boy Oscar absolutely LOVES Jo jingles and is mesmerised by Lindsay!!! We've just had a Jo Jingles birthday party and had an ..
My little boy Oscar absolutely LOVES Jo jingles and is mesmerised by Lindsay!!! We've just had a Jo Jingles birthday party and had an abundance of people who said they had a brilliant time - as did my little boy who danced all afternoon. Thank you so much Lindsay for making Oscar's 1st birthday so special. I couldn't recommend this class enough! It's fantastic!!! Jo Jingles is amazing. Sally comes to our playgroup every week and gets all 26 children interacting, smiling and giggling. She always has a new adventure for the children to go on and each week sings songs both traditional rhymes and some new favourites. Their imagination takes them to places they have never been before through the jungle, into the woods and under the sea its always a mystery where we will end up next. We have been going to Jo Jingles, Jingle Babies since Owen was 3 months old and we both love it! We have been going to Jo Jingles, Jingle Babies since Owen was 3 months old and we both love it! Lindsay is fantastic at running the classes and all of the babies love to watch her do the dance moves. Owen loves looking around and interacting with all the other babies and the props are great for stimulating him and helping him learn, he especially loves a cuddle from Jo and peek a boo! Not only is the class fun for both me and Owen it is also a great chance to meet other Mammys and have a nice chat. Couldn't rate Jo Jingles or Lindsay enough, it's a great experience that I'm so pleased we are part of! I can't rate the Jo Jingles ladies enough, they are amazing at what they do and my little girl definitely agrees! We've been going to baby jingles since my little girl was 3 months old and it's lovely to see how much this class has helped her development. After the very first class she started cooing and babbling away to herself. Now 3 months on she watches Lindsay's every move, selects which toy she would like, shakes the rattles, and loves her cuddles with Jo! This is one class we will definitely be continuing with! 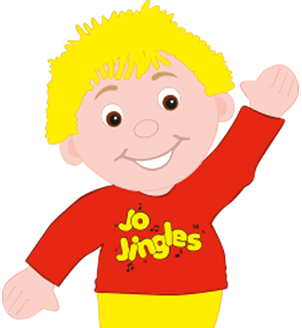 We have been addicted to Jo jingles ever since my daughter had her 1st birthday party. She absolutely loves it - gets so excited! 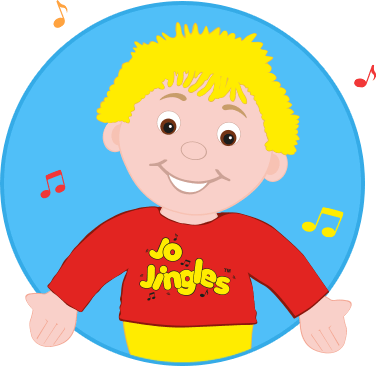 We have been addicted to Jo jingles ever since my daughter had her 1st birthday party. She absolutely loves it - gets so excited, such lovely time for both parent and child to have fun. Very interactive and different every week. Lindsay is amazing with all the little ones, very welcoming and Friendly. Definitely the best day of the week. We have been going along to Jingle babies with Lindsay at Trinity Church Gosforth since it started in April 2016. We have been going along to Jingle babies with Lindsay at Trinity Church Gosforth since it started in April 2016. My seven month old daughter Gabby is already a big fan of music, so a class incorporating singing, movement and playing musical instruments is absolutely perfect for her. When Lindsay brings Little Jo around the group to say 'Good morning' at the start of the class, he has to be delicately prised away from Gabby to be passed on to the next baby, as she can't bear to let him go! Her excitement continues from that point onwards! She loves the songs and accompanying 'dance moves' - the look of sheer joy on her face is plain for all to see, especially for Jo's favourite song 'Wind the bobbin up'! Lindsay is a fantastic class teacher who is so welcoming and full of enthusiasm. She knows each baby's name and tailors the class to meet their individual needs. Gabby has grown massively in confidence and in her development since starting Jo Jingles and loves to interact with Lindsay, as well as the other Mums and babies. We both love coming along to the classes. I have already recommended them to friends and will continue to do so.